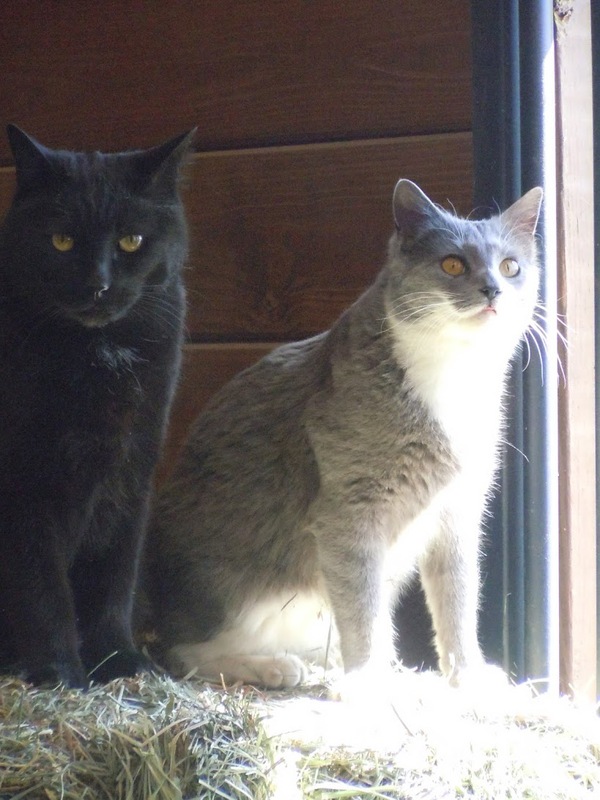 A special message from the barn kitties: happy Friday! Squeaky: "Why would I wish you a happy Friday? Every day is a Saturday for a cat." Whisper: "I see ghosts. Can't you see them? Run for your lives!" Oh who am I kidding, the kitties don’t care about your weekend. Everyday is a weekend when you are a cat. I’m headed down to the Ranch for Easter this weekend, so I’ll try to bring home some stories. I’m definitely going to bring home roving! Then I’m going to ignore the things that need to be done around the house for a few nights and spin. This entry was posted in completely unrelated and tagged alpacas, barn cats, cats, holiday, kitties, roving, weekend. Bookmark the permalink.